Machine washable on a cold wool cycle or hand wash. Dry Flat. 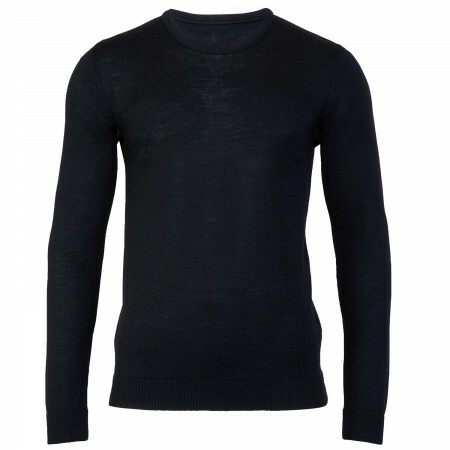 A smart and stylish classic crew neck jumper. The Beatwear Eddie jumper is handcrafted from Italian spun extra fine merino wool, it is warm but breathable lightweight knit making it ideal for layering under our Beatwear Jackets and Coats, and over our Beatwear shirts! The Beatwear Knitwear Collection is a contemporary fit and true to size. Delivery: We use UK Mail, DHL or UPS depending on where you are located. This is a trackable and signed for service to ensure safe arrival of your parcel. Where the item is out of stock we will contact you. Please note : The delivery time schedule ( ie next day delivery/2-3 day delivery etc...) starts from when the product has left us and is on route with the courier to you, the customer - not necessarily from the date that the order is placed. We are a small family business therefore at busy periods there may be a delay on processing your order, so please bear with us! Remember: always email us first if there is a problem with the fit of your Beatwear order and we will try and resolve it for you as painlessly as possible! For accessories (ties, pocket squares & scaves etc...) single items purchased are charged at half the normal shipping rates and sent out with UK Royal Mail. If purchased in conjunction with footwear and/or clothing, the accessory will be tagged on without further shipping charges applied. Due to the temporary Beatwear Warehouse/Office Relocation ... We currently have no showroom / store facility therefore we are unable to take customer appointments or drop-ins.